While many focus on the big renovations that guarantee a payoff, there are small updates you can do between those jobs that will help increase your home’s value when it comes time to sell it. Here are a few you can get started on today. This easy change will make your home look modern, up to date with the current trends and more appealing to anyone looking at it. Having old fixtures will date your home like nothing else, and when it’s such a simple and affordable update, why wait? Design trends are always changing, so change with them to keep your home looking its best. It’s not something you probably spend much time thinking about, but the kind of window treatment you have can make your home appealing—or not so much. If you have smaller windows, you can instantly make them appear larger by switching out blinds for long curtains that start near the ceiling and reach almost to the floor. You may not have floor-to-ceiling windows, but this small trick will make it look like you do. While you might not have the budget to fully renovate your kitchen just yet, a smart way to keep it looking modern and appealing is to update the cabinet hardware and any doorknobs in your home. This is a simple, very affordable change that can take your home from the ’70s to modern days. You’ve heard it before but that’s because it’s true—a fresh coat of paint is the most affordable way to renovate a room. It makes it feel fresh, clean and modern. 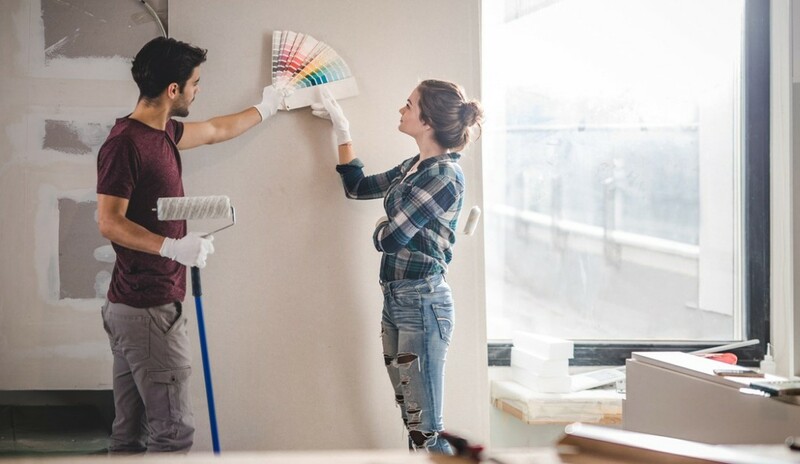 Colour trends change more regularly than you would want to make major renovations, so it’s a good idea to keep up the look of your home with a fresh coat of paint, and maybe a whole new colour, before it’s time to fully renovate.